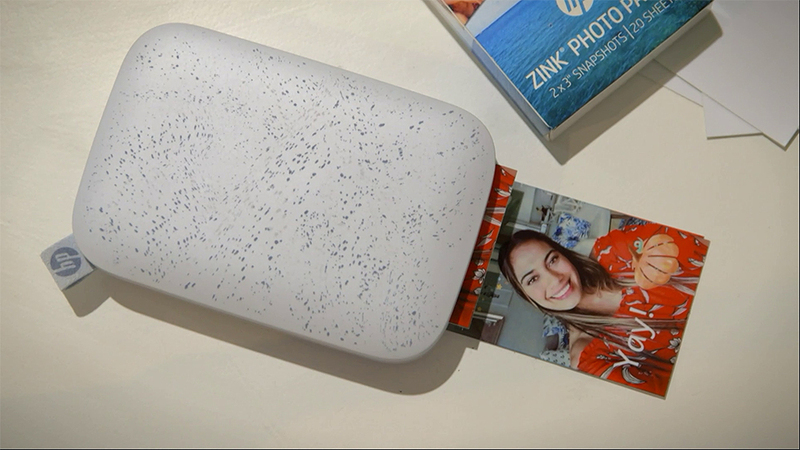 About the size of a mobile phone, the HP Sprocket is a funky portable printer that goes anywhere. Easily load the included 10-sheet pack and print instant photos or stickers. No need to worry about mess as it uses ZINK® Zero Ink® technology – no ink cartridges required!